Linda Costello, a Bainbridge architect, is unique among local authors. She is a renowned paper engineer whose books - enjoyed by children and adults alike - pop up to reveal three-dimensional designs. One of several of her astonishing works is Lighthouses(2007), co-authored with Al Mitchell and Bruce Foster. The book includes 5 amazing, architecturally accurate 3-D pop-ups that stand approximately 9 1/2 inches tall and 5 inches in diameter and demonstrate each lighthouse's unique design and function. 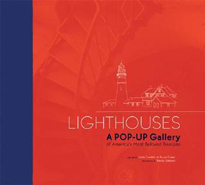 Pop-ups include some of the most famous landmarks in the country: Cape Hatteras Light, North Carolina's distinctive black-and-white barber pole; Old Point Loma Light, the beacon for California's Gold rush traffic; and Florida's prominent Ponce de Leon Inlet Light. 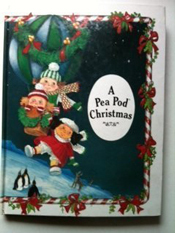 Other books engineered and/or illustrated by Costello include Adventures of the Pea Pod Kids (1988), A Pea Pod Christmas (1988), The Little Engine That Could (1988), Mystery Mansion (1989) Dinosaur Habitats (1989) and Little Red Riding Hood (1989).